Summer's here, which means it's beer garden time. Our man in SA, Matt King, has spent the past few weeks visiting many of the best and craftiest that Adelaide and surrounds has to offer, not just to highlight them but also asking owners and patrons what makes a beer garden great. Below is part one of his report, with another half dozen gardens to feature in a few days. What does make a beer garden a great one? Do you agree with the venue managers and drinkers below? And where are your favourite outdoor spots around Australia to enjoy a beer or two? 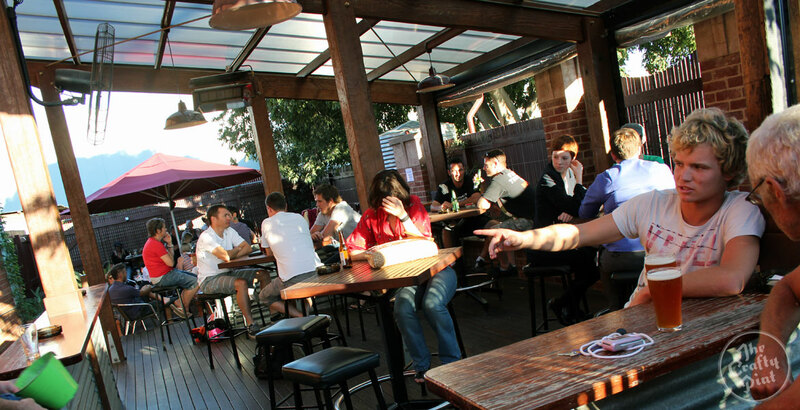 The beer garden is generally an open space, tucked away in the sunniest spot of any drinking establishment. Having such a space has become an essential part of Australian pub culture over the years: not every venue has one but those that do are enhanced by them. 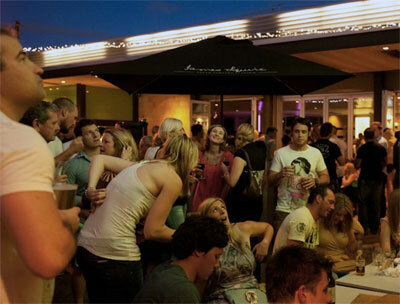 Whether it’s the location for a sneaky after work beer, Friday afternoon wind down drinks or the ultimate Sunday session, the beer garden has etched itself into the Aussie lifestyle, with the aesthetics and style of each governed only by the space available and the creativity and vision of the owner. When the hotter weather arrives, the beer garden becomes notably the most popular space in most venues, with patrons happy to use up valuable socialising time looking for a free spot to squeeze into. That said, while beer gardens are more conducive to the summer months, many venues are working tirelessly to convert their outdoor drinking spaces into year round areas. 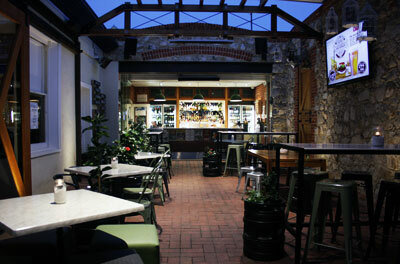 Adelaide now has a plethora of fine crafty venues and most of them have impressive beer gardens too. In the lead up to summer, we visited 11 venues* (now ten in the articles as one has closed down since publication) to talk to managers, owners and the patrons and ask them what they enjoy most about drinking outside. We posed questions to those we met relating to what makes a great beer garden and what they believe could be done to improve their drinking experience. The aim of the endeavour wasn’t simply to find the best beer gardens to drink in but instead to question what makes a beer garden great. As you approach the entrance to The Highway, it's evident that the beer garden is an imposing and integral part of this hotel. Its open nature is truly its strength, as a breeze can flow through the open space through to the bar area. Seating is plentiful and punters have the options of stools, bench seats, lounges, huts and booths. On major sporting occasions, crowds gather around the giant television screen that’s a key feature, while the outside bar makes it a perfect space for the monthly tap takeovers from local and interstate breweries. Darren Paech describes his beer garden as the heart of the hotel due to its size and flexibility. The sails and shading protect it from inclement weather and it is the place to watch any important sporting event. He believes many things go into having a great beer garden, including having flexibility, the correct lighting, the appropriate temperature, keeping the place clean and having the ability to be able to appeal to everyone, something this multi-faceted space achieves. On a Friday afternoon around 4.30pm, the beer garden was packed, mainly with workers from neighbouring businesses. The multiple groups interviewed liked the location of the beer garden, as they worked or lived close by. The comfortable seating, big screen and great beers were also a reason these guys loved this particular spot. Decking reminded some patrons of drinking on the back decks of their own homes: laid back and chilled. A few interesting ideas were suggested, from the surprising and perhaps not entirely serious (jelly wrestling) to the practical (direct chair beer delivery service, a little more beer and a little more greenery). The beer garden at the iconic Wheatsheaf Hotel (pictured at the top of the article) is simple and straightforward. It is attached to the side of the pub and is a spot where drinkers chat, keep to themselves reading a book, or bask in the sunlight with one of the pub's very many fine beers. Greenery has not been spared, with jasmine vines and trees engulfing the garden to create a sort of mystical forest scape on one side. Large trees cover the majority of the garden, while shade, tables and chairs are spread throughout. Jade Flavell, one of The Wheaty's three owners and head brewer at the on-site Wheaty Brewing Corps, is rather proud of her beer garden, saying that she wouldn’t change anything even if the opportunity to refurbish arose. According to Jade, it’s an old school beer garden: quite big and rambling, with chunky second hand Jarrah posts creating a simple, outdoor drinking space centred around a Mississippi Hackberry tree. Jade believes a good beer garden should be free of flat screen TVs and loud music; instead the beer garden should be a social environment just as any real pub should. Open skies, quiet and lots of greenery are three simple things that help make the Wheatsheaf’s beer garden what it is. A sunny Sunday afternoon saw this particular beer garden full, with not a single seat, stool or standing position available. The people we spoke to liked this hotel due to it being their local and the relationship ties they had to the staff. They mentioned the ethos of the pub and its attitude towards beer and how that made their drinking experience even better. They felt the beer garden was a great place to visit on Sunday afternoons, although an outside drinking position wasn't always their go to spot with the front bar also being a particular favourite. According to these patrons, the Wheaty’s beer garden didn’t need much improving, as long as there was plenty of shade, seating and trees. And finally, they believed that it was a very sociable garden, just as Jade intended. There are not many places where you can say the grass grows on the walls, but it does at the Gilbert Street Hotel. Tucked away out the back of the establishment, this open drinking space has many nifty quirks that make it nothing short of unique. An all year area boasting a wide open space, a retractable roof, street level windows, gas fire heaters and a large opening with views of the kitchen preparation areas, it doubles as a function area in summer. 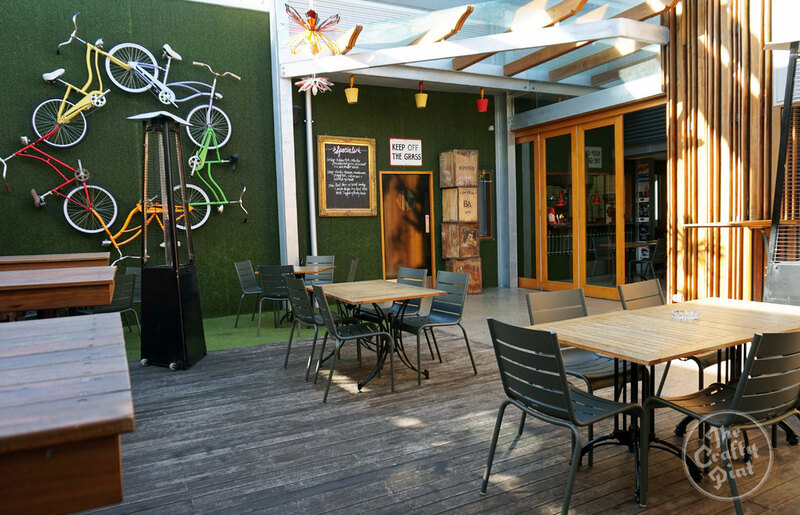 The Gilbert Street Hotel’s beer garden also boasts many of the essential elements of all great beer gardens: ample wooden seating, hanging gardens, decking and a breezy open space. Luke Saturno is the owner of two great craft beer hotels in Adelaide: the Gilbert Street Hotel and the Benjamin on Franklin. He first described his beer garden with just two words. However, they weren't necessarily fit for publication so, on second thoughts, he went with "different" and "eclectic". For a beer garden to be great, Luke says it needs to be a big enough space that you don’t feel claustrophobic, must have all the elements previously mentioned and, most importantly, must be connected to a great pub. On a late Saturday afternoon, a big group of friends commandeered the beer garden at the Gilbert Street Hotel and it seemed they were getting prepared for a rather large night ahead. A few members embraced the light that flowed in from the street level windows making the area look a little bigger. Generally, it was the style of the beer garden was spoken about: simple and just a little bit different. Interesting features included the bikes and grass on the walls that were said to be aesthetically pleasing. They were outside for some fresh air and sunlight and thought an elegant water feature – along with the continuous flow of good beer – could be small improvements. The Royal Oak Hotel has garnered a lot of attention of late and has drastically changed its approach to craft beer, now pouring nothing but the best. With a better tap list has come more custom and this vintage style pub is extremely busy most nights of the week. The beer garden, complete with outdoor bar, is smack bang in the middle of the establishment and flows freely into all the other areas of the pub. Looking around, you see shrubbery rising from up-cycled plastic kegs, while the roof is retractable and bird cages sway with empty craft beer stubbies inside. 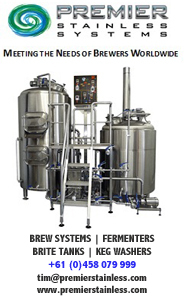 Steel stools are provided for seating and brewery posters decorate the walls. The atmosphere is intensified several week nights as live music is pumped around the hotel and into the beer garden via the in house sound system. Punters can even watch the live music streamed on the CCTV. Sarah Legierski loves the open, friendly and casual nature of her beer garden and believes the craft beer merchandise and paraphernalia highlights the fact that it is, first and foremost, a beer garden. She believes it has a very unique style created by features such as flamingoes (not real ones), recycled keg plants and a specially made craft beer “wheel of fortune" AKA "beer of fortune" that assists drinkers in deciding what they should drink. Along with a casual, relaxed vibe, other major features include a cooling water misting unit ready for summer. She says there wouldn’t be too many changes made to the outside area, maybe a few more natural pieces of furniture and a few egg shaped chairs to enhance the relaxed nature of the garden. Sarah says there are a lot of small little things that make a great beer garden but reckons it is essential to have an incredible crew with a real passion for serving delicious craft beer. During one of their busy Thursday nights, two men were catching up over a few twilight beers in the beer garden. They liked the roof structure, the open nature, the old brickwork and visible structural beams. The reasons why the beer garden was their chosen spot was due to the fact that they disliked air conditioning and enjoyed the balmy temperature. They appreciated the art deco look and ambient lighting that was put up around the hotel to make the place look attractive. 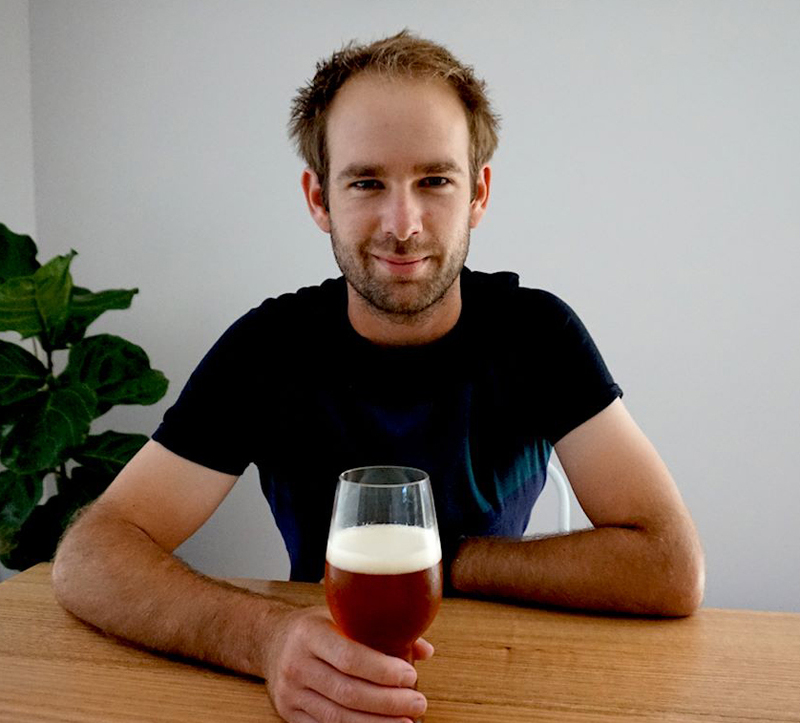 Look out for part two of Matt's jaunt around SA's outdoor beery haunts, in which he drops in to Smiling Samoyed, Benjamin on Franklin, Sweet Amber Brew Cafe, the Lion Hotel, Hotel Wright Street and The Mile End, and offers his thoughts on what makes a beer garden great. * Matt did visit a few more venues than are featured here but has been unable to get responses from their owners. So, with summer well and truly here, we didn't want to wait any longer before publishing.